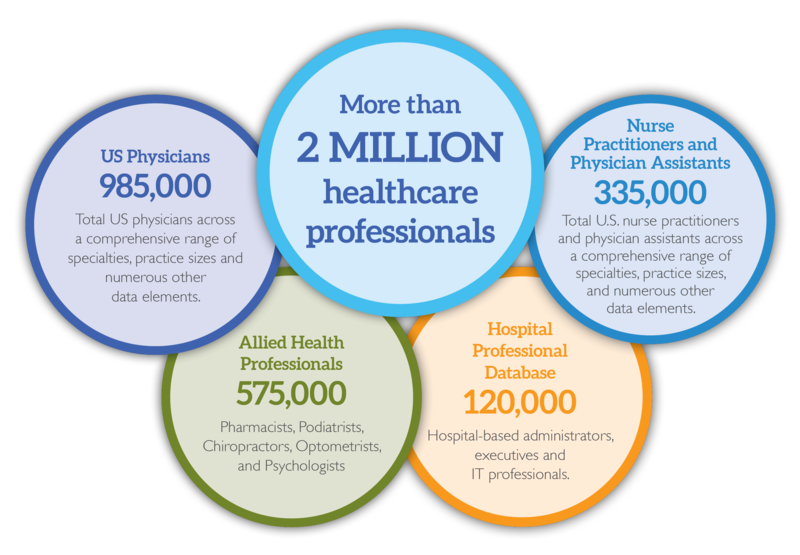 Reach the right audience today with access to our database of over 2 million healthcare professionals, including physicians, nurse practitioners, and physicians’ assistants. Our physician database includes a wide range of information on each clinician, including email addresses, full demographics, NPI numbers, specialties, practice sizes, and so much more. Request a free, custom data count to find out if our healthcare data matches your needs. Simply fill out the form, and someone from our account team will contact you within 24 hours or call us at 978-631-2934.